Talking about people who have made strides in the world of business, your list won’t be complete without mentioning Stan Kroenke. Stan is an American sports mogul, businessman, and entrepreneur famously known for being the owner of the Kroenke Sports & Entertainment. Through his company, Stan has acquired several top sports clubs including Arsenal Football Club of England, Los Angeles Rams of the NFL, and Denver Nuggets of the NBA, just to mention a few. Stan has made a fortune from his sporting businesses and not just that, he is also married to Ann Kroenke, the daughter of the Walmart co-owner James Walton. The pair has jointly made strides in their entrepreneurship careers. Learn more about Stan Kroenke’s biography, his net worth, wife, and other interesting facts below. The business magnate was born as Enos Stanley Kroenke on the 29th day of July 1947 in Columbia, Missouri in the United States. He spent his early years in Mora neighbourhood of Missouri and was raised by his parents Alvin Kroenke and his wife Evelyn. While he was growing up, his father founded Mora Lumber Company. Developing an interest in becoming a businessman from a very young stage, Stan started taking care of his father’s company books at the age of ten. He completed his basic education at Cole Camp High School situated in Missouri after which he obtained his bachelor’s degree at the University of Missouri. He further acquired his masters in business administration from the same University. The business mogul founded his first company called Kroenke Group in 1983. With the company, he acquired and built several structures in the United States such as shopping malls and estates. After a while, he opened a suburban development Company called THF (To Have Fun) in 1991. Through the company, Stan also completed several real estate projects and the company’s portfolio was valued at $2 billion as of 2016. Delving into the sports business, Stan founded the Kroenke Sports & Entertainment with which he used to buy stakes in the National Football League’s St Louis Rams in 1995. He further acquired the remaining part of the company in 2010. Stan has continued to wax stronger and he currently owns different clubs in different sports teams within America and beyond. He acquired the Denver Nuggets basketball team and hockey team Colorado Avalanche in the year 2000. Two years later, he became a co-owner of Arena Football League team called Colorado Crush. As of 2015, Stan Kroenke was rated the 9th largest landowner in the US. His business acumen extends beyond normal imagination. Think of anything business and he will make it happen. In addition to his sports businesses, Stan also owns a ticket company called TicketHorse which provides all the tickets for his teams. He has a sports network called Altitude Sports which broadcasts for all his teams. While he has continued making strides in sports, he is also making waves as the owner of other businesses such as Napa Valley winery Screaming Eagle as well as Waggoner Ranch. 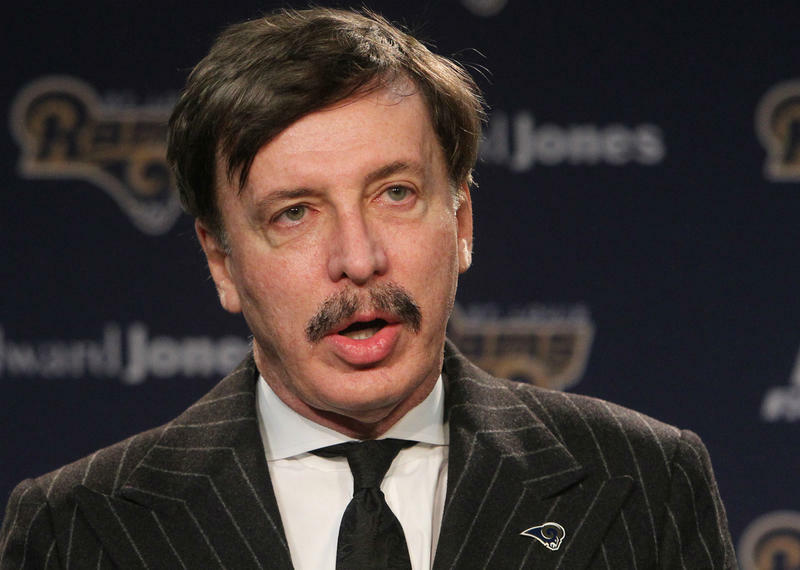 Net Worth: How Much is Stan Kroenke Worth? Stan and his wife Ann are both silent billionaires and have amassed a fortune from their entrepreneurship career. According to Forbes, the business mogul has an accumulated net worth of $8.5 billion as of 2018. His wife, Ann also has an estimated net worth of $6.8 billion. Kroenke made his wealth from real estate developments, retail, and residential developments as well as his numerous businesses and investments. 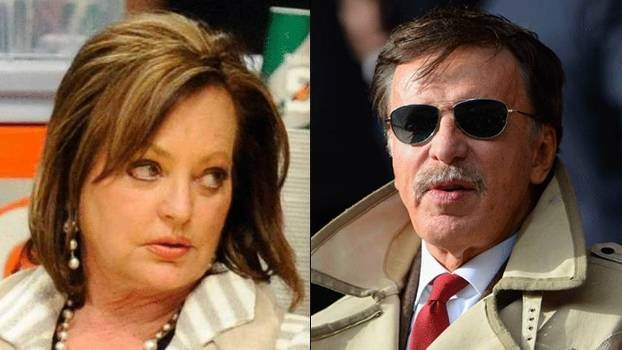 The business guru Stan Kroenke is married to his longtime sweetheart and love of his life Ann Walton Kroenke. Ann is popularly known as the heiress to the Walmart fortune; she is the niece of the Walmart founder Sam Walton. Just like Stan, Ann was also born and raised in Columbia, Missouri by her father James Walton. She completed her education at Lincoln University and is equally a talented businesswoman. Stan transferred the ownership of the Denver Nuggets of the NBA as well as Colorado Avalanche of the National Hockey League to Ann in 2014. The amazing couple met each other several years ago while on a trip to Aspen, Colorado. Afterwards, they started their relationship and in 1974, the duo tied the knot. Together they have two children, a son named Josh and a daughter, Whitney Ann Kroenke. Josh and his sister Whitney are both heirs to their parent’s wealth. Meanwhile, Josh currently serves as the president of the Denver Nuggets and Colorado Avalanche while his sister Whitney has established herself as a film producer. According to sources, Stan also has two other children named Brett and Katie Kroenke. His wife Ann Walton is the heiress of Walmart Inc. He is regarded as a silent man because he rarely grants press interviews or interferes with his team’s operations. He supports the Republican party and has made several donations to the party in recent times.